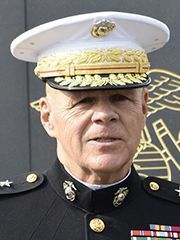 On November 21 Commandant of the U.S. Marine Corps Robert Neller spoke about the fatal collision on November 19 due to a Marine Corps serviceman driving under the influence of alcohol. In Ryukyu Shimpo’s interview with Neller, he showed sympathy for the Marine, but did not mention the serviceman’s responsibility in drinking before the fatal collision. Nor did he make any reference to future preventative measures or cracking down on discipline. Neller spoke further of the accident: “Obviously, we wish it hadn’t happened. But it did. And I guess I would ask the Okinawan people, and the people of Japan, to understand that there are 22, 23 thousand Marines stationed in Japan and Okinawa.